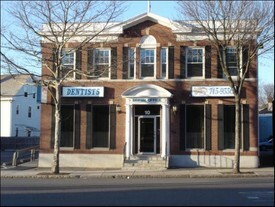 Salem, Massachusettes Dentist, Dr. Nicholas Affara is a dental professional dedicated to General, Family & Cosmetic Dentistry such as Dental Exams, Cleanings, X-rays, Fluoride, Teeth Whitening, da Vinci Veneers, Crowns, & Dental Implants. Contact our Salem, Massachusettes family & cosmetic dental office if you have any questions or would like to schedule an appointment. Click Here to schedule your appointment online. We look forward to meeting you! Monday to Thursday 9 A.M. To 6:00 P.M.